It is said that in order to find the best spots to visit when you are on holiday you should watch the locals and see where they go. A favourite haunt of the Melbournites is the Yarra Valley, which at just over an hours drive away makes for the perfect weekend getaway or a nice little day trip. A renowned wine growing region, the fertile soil here supports thick and lush vegetation, which together with the rolling hills and the green fields creates a scenic and inviting landscape that lends very well to relaxation. So pick up a Campervan Hire Melbourne and take a leisurely drive out to the Yarra for the ultimate wind down. For an exceptional drive to the Yarra take the Mt Dandenong Tourist Road, and enjoy the majestic views from the high hills of the Dandenong Ranges. Lining the road are giant ferns, eucalyptus trees and other rainforest vegetation. There is a tourist lookout on the road that looks over the eastern suburbs of melbourne, which is especially spectacular at sunset when the natural light is fading and the artificial lights of the city are coming on. Healesville is the commercial centre of the Yarra, and is a great place to base yourself and your campervan while you explore what the valley has to offer. Surrounded by mountains, forests and hills, there are any number of places you can visit close to town. The Maroondah Reservoir is a popular choice with its thick and colourful gardens and large dam wall with panoramic views of the mountains in the distance. Healesville is also known for its wildlife sanctuary, which is home to a cross section of all the Australian wild and bird lilfe. 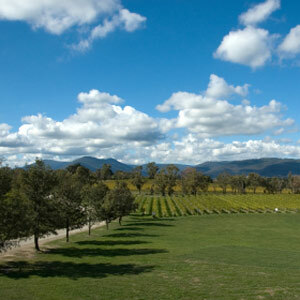 If you are a wine buff then definitely visit the town of Yarra Glen, which is in the middle of the valley and is home to many award winning wineries. Visit the cellar doors of some of them, sample the local produce and maybe pick up a few bottles for yourself. For a day of de- stressing visit the Immerse Spa and Winery and treat yourself to some of the packages they have there. The Sugarloaf Reservoir Park in Yarra Glen is popular amongst walkers, offering eighteen kilometres of park to stretch your legs on. If the Yarra Valley sounds like somewhere you'd like to visit, then why not use the planner below to check our campervan availability from Melbourne. If you have any questions check out our FAQ's page, or give us a call on one of the numbers below.